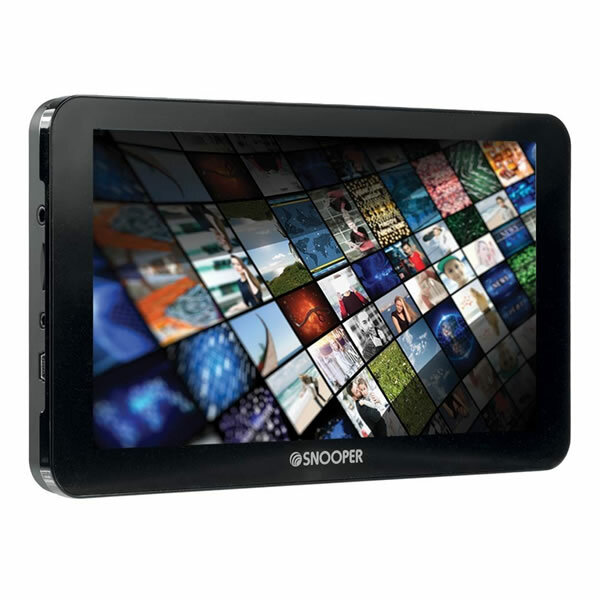 Snooper Truckmate S8110 includes a large 7-inch slim wide touchscreen display and DVB-T2 Freeview Digital TV. This Snooper system is PC and Mac compatible. 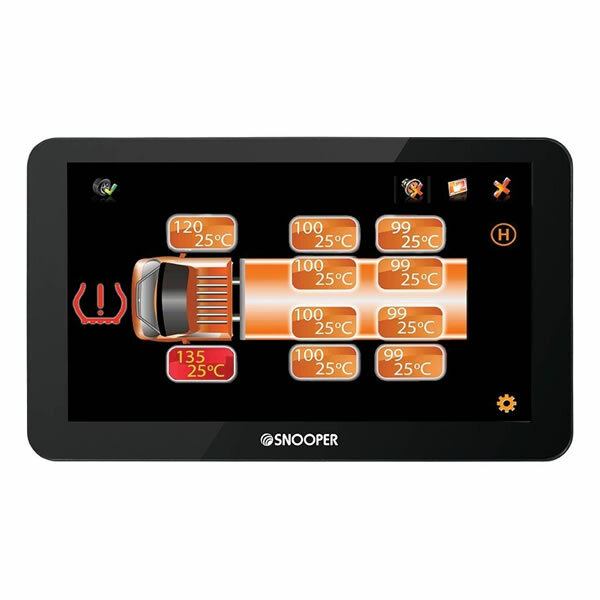 The Snooper S8110 Truckmate is preloaded with maps for Europe. An enhanced, large 3 watt speaker is also built-in to this Snooper satnav device. Multi-stop technology allows you to enter numerous address postcodes to deliver to along the same route. The S8110 also features Lane Guidance and Junction View and turn-by-turn voice directions. 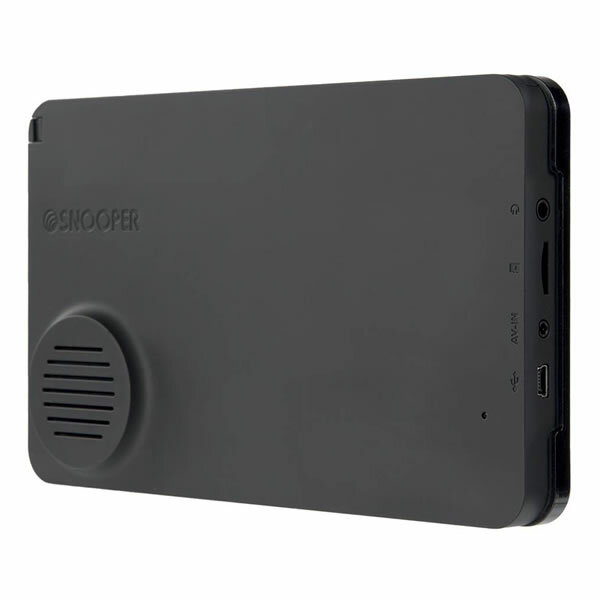 Snooper Truckmate S8110 also features Bluetooth for handsfree calls and provides FREE TMC Traffic information and speed camera locations by subscription. MY SPEED feature displays road speed limits for every road whether there is a speed camera present or not. 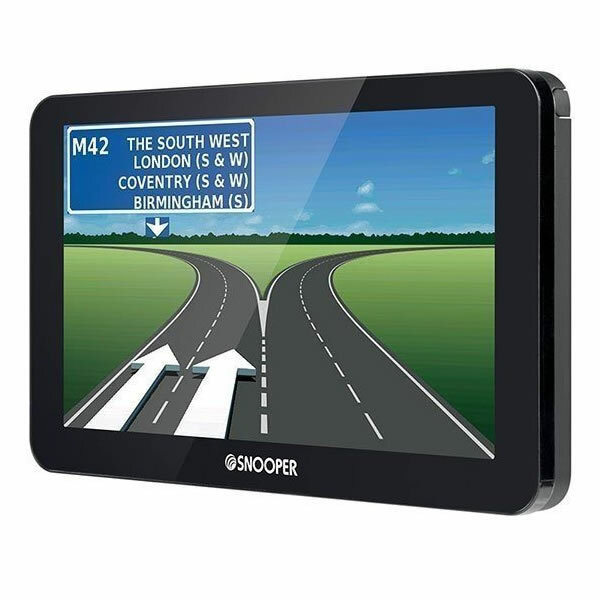 The Snooper Truckmate S8110 is a leading satellite navigation system with 7-inch LCD touchscreen, Freeview DVB-T2 Digital TV and enhanced 3 watt speaker. FM Transmiiter provides street-by-street directions via your vehicles speakers. Full European Mapping UK and Republic of Ireland and Europe. The S8110 is designed specifically for use in HGV's, trucks and other large commercial vehicles. Multi-route technology allows you to create a single route with up to 16 different addresses just by adding the postcodes. The Truckmate will calculate and save the full multi-stop route and guide you along the quickest route. Truckmate units also allow owners to save up to 10 different vehicle profiles, making it easy to switch and change between trucks and trailers and receive routing specific to that vehicle. You can even save the load type you carry with that vehicle profile. 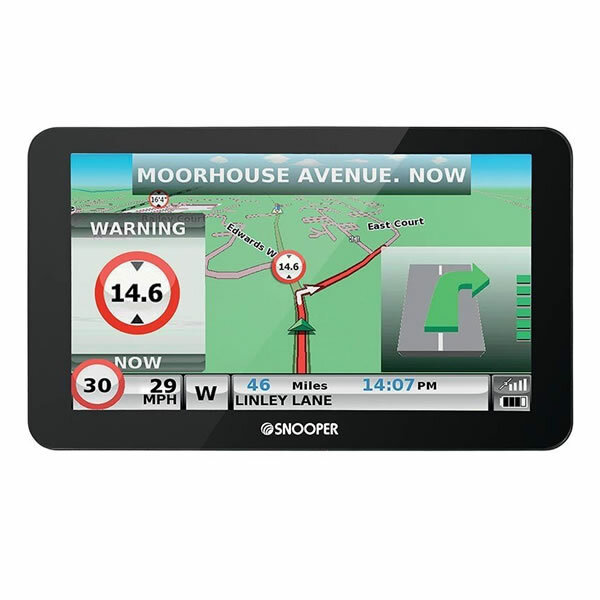 SPECIAL OFFER: Buy the S8110 Truckmate or any other Snooper truck sat nav model from ActiveGPS and receive FREE lifetime map updates worth over £100. The annual road map updates are by here. Details of the offer and other models that include the FREE lifetime map updates are available via the following link. Snooper S8110 Ventura - for drivers towing caravans or driving a motorhome, or large camper vans. 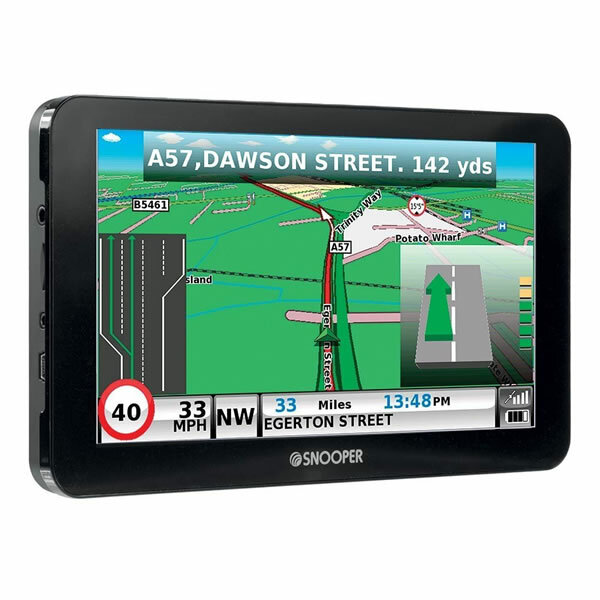 If you want to use the Snooper Truckmate S8110 in your car too then the car navigation mode will change the settings of the satnav to route you in your car to your destination. 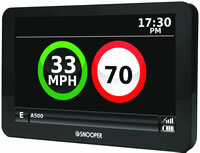 The Snooper Truckmate S8110 also includes MY SPEED feature which displays on screen speed limits across most of Europes road network so you will always know the speed limit plus you can optionally choose to be alerted when driving above the road speed limit. You can choose car speed limits or trucks 3.5t and over speed limits. Input your trucks dimensions (height, width, length), weight and load into the S8110 whereby the Snooper satellite navigation system will then route you along appropriate roads only. This feature can help you to avoid low bridges, narrow roads and more. Find POI's (over 2 million points of interest) along your route (truck stops, truck restaurants, hotels, petrol stations, speed camera, golf courses, cash machines, shops plus many more). Also included are Air1 AdBlue Retail Station POI's. The local petrol stations are available in corridor search along you journeys route. You can also add Air1 AdBlue sites along your pre-programmed route so you wont need to search for the nearest petrol station as you will have a predefined stop programmed into the Truckmate S8110 Snooper sat nav. The Snooper Truckmate S8110 will calculate the quickest or shortest route when it knows where you are travelling from and to. You can also avoid toll roads or motorways. There is also a economical route option whereby fuel consumption and cost effectiveness are used to provide the best value route. Route timer is included on the Snooper Truck device which will tell you when to take a break from driving. The Snooper truck sat nav also tells you how much time you have before taking your next break. Snooper S8110 Truckmate mounts on the inside of your vehicles windscreen using the suction cup windscreen bracket provided. Snooper S8110 Truckmate can be powered directly either from its internal battery if it's fully charged or powered from the cigarette lighter socket. We do not recommend using a third party charger with this product. A mobile phone USB charger or a laptop may not be powerful enough to reliably charge the Snooper S8110 Truckmate and may provide an incorrect voltage or insufficient power. United Kingdom • Ireland • France • Spain • Portugal • Italy • Austria • Switzerland • Belgium • Holland • Luxembourg • Germany • Denmark • Norway • Sweden • Finland • Poland • Estonia • Lithuania • Czech Republic • Latvia • Liechtenstein • Hungary • Romania • Slovakia • Slovenia • Serbia • Montenegro • Croatia • Turkey • Greece • Albania • Bosnia and Herzegovina • Bulgaria • F.Yugoslavia Rep.of Macedonia • Russia • Cyprus • Ukraine • Belarus. Snooper S8110 Truckmate provides advanced warning of all fixed speed cameras, SPECS and many laser sites using Snooper's AURA speed trap database. There are 3 easy ways to pay using a credit or debit card. 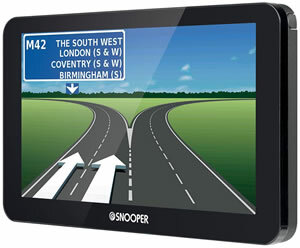 The Snooper S8110 is the first Snooper sat nav to be Mac compatible. The Snooper S8110 will only operate on Windows computers. Specifically, you must be using Windows 7, Windows 8, Window 8.1 or Windows 10. Additionally the software will only work with Internet Explorer 6 or Netscape Navigator 6 or above. The Snooper S8110 Truckmate comes supplied with everything you need to use it in-car (see What's in the box? above), however replacement and additional S8110 Truckmate accessories are also available to buy from ActiveGPS. 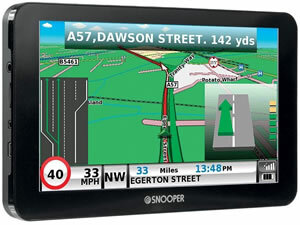 Question: Does the Snooper S8110 have an in-built dashcam? 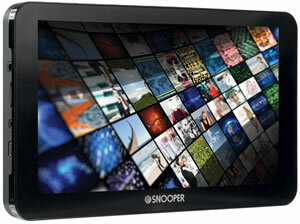 Answer: The Snooper S8110 does not have a built in dash cam. 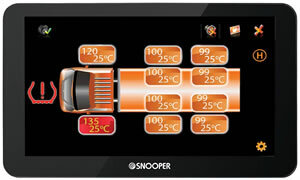 The only model in the Snooper range with a built in dash cam is the 5-inch display Snooper SC5900 DVR Truckmate. If you require a truck sat nav with built-in dash cam and a 7-inch display (the same screen size as the S8110) then the model to buy is the Garmin dezlCam 785LMT-D.
Do you have a question about the Snooper S8110 Truckmate? Submit your question via our contact page.